I cannot say enough thank-yous for the award nominations that keep coming my way!, One of my lovelies, Kri and the bravest, Hbhatnagar nominated me for the “Dragon’s loyalty Award”, it’s an award for the loyal fan/commenter, whether the recipient is a fellow blogger or just someone who follows and comments regularly. 1. I never say ‘No’, which also means that most of the time, I end up juggling with more than I can handle. 3. I’m a chai (Tea) addict. 4. I see things as black or white, not gray. 5. The best time of the day for me is when the world sleeps and I stay up. 6. I love reading, so much so that even before I finish the books in hand, I go buy new ones so that I never have to run out of reading material. 7. I have a gift of hiding my emotions quite well, even the closest of my people rarely would know, what goes on in my head. 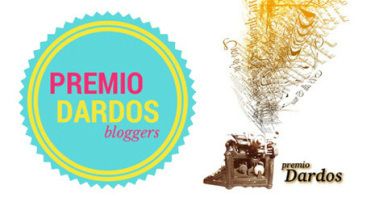 I have been yet again nominated by one of my favourite and loveliest blogger Kri for the “Brotherhood Award”, thank-you so much for all the love and I can’t thank-you enough for the award nomination. 4) Nominate around ten other bloggers and let them know about the award. 1. You are given the responsibility to bring global peace, how will you do that? Answer: I would probably refuse such a responsibility, realistically the world has people who are shades of ‘grey’, and as long as even one person is working for their own benefit, it will cost something to to another, there will be no peace. At most, I can only promise to do my part. 2. Did blogging improve your life in any way? 3. You can do anything you want for 3 hours, what would you do? Answer: Nowadays, catch up on sleep (haha!) generally though read and be left alone in silence. 4. Reading or writing, given you’ll be paid for reading? Answer: Writing and Reading, both I do for the “peace” it brings. Nothing it has, has got to with money. So pay me or not, I will always be doing both, can’t just read because I was being paid and not write. 5. An idea of a perfect life? Answer: We all know there is nothing as “perfect”, humans are designed that way, in my believe. However, the ideal would be away from the chaos of world, somewhere in nature, mountains perhaps, cold would be nice lol. 6. You can travel back in time, what year you would choose and why? Answer: I ain’t turning back 🙂 even if to just view, what’s gone must remain gone. Don’t want to come back to present with more of past attached to my mind. 7. Space, Solitude, Silence. Choose one and why? Answer: Silence, always. I find peace within the stillness, that’s why. 8. Is there life elsewhere in universe? Answer: I would like to believe so or I would be truly heart broken. 9. You have to plan a surprise for your best friend, but you are broke. What will you plan? 10. One of your friends, with whom you were not in contact for many years, meets you somewhere and starts cursing you. How will you tackle the situation? 1. Do you believe in second chances? 2. Are you satisfied with who you are, today? 3 .Any certain religious philosophy or concept you completely believe in? 4. If given a chance to be any famous literary author from history for one day, who will you choose and why? 5. One thing that annoys you the most about other people? 6. Being “truly yourself”, what does that mean to you? 7. If you could change one thing about the world, what will it be? 8. How do you express sadness? 9. Where would you like to travel, if given a chance to do so? 10. Your favourite time of day/ night, why? Thank-you once again Kri <3, good luck to all the nominations and as always, there is no compulsion to participate but I’d love to read your answers if you participate.